Passenger rail operators have traditionally been focused on getting riders from an originating station “point A,” to the destination station “point B” quickly, safely and efficiently. In this traditional model, rail operators didn’t give much thought to the portions of the passenger journey prior to their arrival at the originating station, nor after they left the destination station. The recent addition of “smart rail” technologies has enabled operators around the world to achieve improvements in the passenger experience between these two points. Helping passengers remain productive during the journey through on-board Wi-Fi, enabling them to enter the turnstiles using just their smartphone, and keeping them safer through high-definition video surveillance cameras and communication-based train control systems, are just a few examples. These initiatives were driven by the need to better compete with other modes of transportation, to comply with government safety requirements, achieve operational efficiencies, and drive down cost. Some rail operators are trialing arrangements with Uber, Lyft, and local taxi companies to integrate their services within the rail operators’ booking and payment apps. But some forward-thinking rail operators are beginning to expand their focus beyond just transporting passengers between station points. They are seeking to fully integrate various aspects of passengers’ lives into the daily transportation experience. For both daily commuters and travelers, the first area rail operators are targeting is the “first-mile/last-mile” segment. Some of them are trialing arrangements with Uber, Lyft, and local taxi companies to integrate their services within the rail operators’ booking and payment apps. In the U.S., some operators are looking at potential public sector agencies with spare road transportation capacity. One interesting suggestion that has been raised is whether idle U.S. postal service vehicles could be leveraged to provide the link between the passenger’s home, the rail or subway station, and their ultimate destination. This could solve the first-mile/last-mile issue for the passenger, create a new revenue stream for the postal service, and help the rail operator provide more value to its customers. Other operators are taking it a step further by considering how they can leverage developments in driverless vehicles. For example, last year the city of Milton Keynes in the UK initiated a trial of personal rapid transit pods. These two-seater, driverless pods crisscross designated pathways throughout the city. The pods are equipped with cameras, sensors, and radar, to collect information about its surroundings and figure out where it is in the pre-mapped environment. Similar projects are planned for Coventry, Greenwich, and Bristol. Integrating the booking and payment for these pods into the rail operator’s mobile-enabled system can add real value and extend their “passenger touch” beyond points A and B. Other rail operators are pushing beyond just transportation to improve their passenger experience. In examining other aspects of their commuters’ daily lives, they identified another key area they can impact — shopping. Many rail stations around the world are adjacent to shopping malls, food stores, and other retail outlets, but passengers are reluctant to lug around bags of groceries or personal shopping carts on their way home after a long day at work. A few rail operators are teaming with large retailers to deploy “virtual supermarkets” along the rail platform. 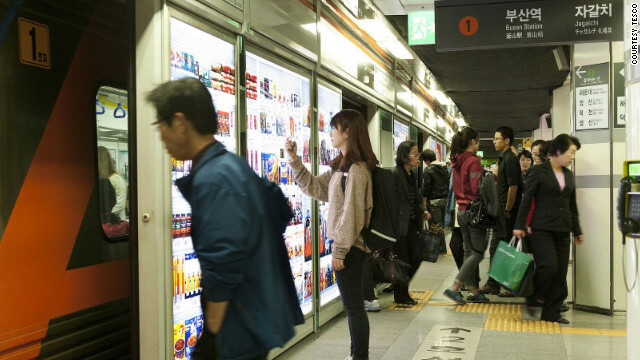 In South Korea, the supermarket chain Tesco Homeplus set up “virtual shops” in subway stations and bus stops. These virtual shops feature realistic merchandise displays of over 500 of its most popular products. Passengers can use their smartphones to scan the product’s QR code, and have it delivered to their house. This turns the passengers’ waiting time into shopping time. China’s largest online grocer, Yihaodian, opened 1,000 virtual supermarkets after a successful trial in Shanghai metro. Now, busy commuters can do their shopping while waiting for a train or bus, while walking to their car at the “park and ride,” or even while sight-seeing. Yihaodian leverages advances in augmented reality technology to allow shoppers to walk through virtual aisles, select items by tapping on the screens of their smartphones, and schedule delivery to their homes while completing their virtual checkout. To improve the experience of business travelers, rail operators are looking beyond just keeping them productive during the ride through on-board Wi-Fi. They are teaming up with office space providers to provide business lounges on the rail platform. For example, Regus Express business lounges can be found in rail stations throughout Europe. Business travelers coming from different cities can conduct meetings in private conference rooms, participate in audio or video calls, download and print last-minute materials for their meetings, and get administrative assistance through on-site concierges. These efforts to provide value deeper into the daily lives of passengers reflects both an increasing urbanization and the growing popularity of rail travel. By 2050, 75% of the world’s population is forecast to live in cities, with many adjacent metropolitan areas converging to form “mega-regions.” These mega-regions could stretch hundreds of kilometers, providing employment opportunities with commutes that will favor rail travel. In fact, the rail segment is expected to be the fastest growing transport sector over the next 10 years. Expanding value beyond the traditional transit services will also require greater connectivity beyond the traditional rail operator network. 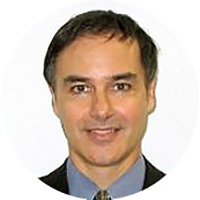 To support the first-mile/last-mile rider services, virtual supermarkets, on-platform business lounges, and basic smart rail services, a rail operator’s network must ensure sufficient backhaul for wireless services, link rail station LANs to data centers, provide high-capacity connectivity between data centers, and ensure instant access to cloud-based applications and card payment firms. High-speed, low-latency communication networks are key enablers of these advanced digital applications, and serve as critical bridges to extend beyond points A and B. Any Brochure or Documentation about Smart Rail solution? As I mentioned in the whitepaper, the foundation for any smart rail applications is a robust fiber optic network. Here is a URL for a white paper that describes our packet network solutions that can serve as that foundation: http://www.ciena.com/insights/white-papers/Packet-Networking-A-Reliable-and-Robust-Foundation-for-Smart-Rail-Solutions.html. If you like I can send some additional diagrams and information on our optical solutions and our Software-Defined Network Orchestration solution. If this is something you are interested in seeing please send me an email message at dloffred@ciena.com.